Stark Hollow Farm is Animal Welfare Approved offering Certified 100% grass fed Icelandic lamb and forest raised heritage breed pork products. Our meat animals are raised on our homestead farm here in Vermont in a sustainable and humane way free from hormone or growth promoting drugs, antibiotics, and without the use of chemicals on our fields. Our hay is purchased from a local certified organic farm. The Stark Hollow Farm Difference! 1) All our animals are 100% pure heritage breeds, registrable with their breed association -- not a heritage breed mixed with commercial breeds. While this makes for fast more efficient growth, it doesn't provide protection for the purity of the breed. We take pride in growing your meat slowly following old traditions and in preserving the genetics of these beautiful breeds! 2) Our pigs are outdoors & rotated to new areas year round (with access to warm cozy shelters, of course) -- most pasture raised pigs are outside in the warm growing season only, being indoor the rest of the year. 3) Our sheep are intensively rotated on pasture (moved to fresh grass every ~3 days) -- many grazing animals are left eating in the same pasture for months. 4) Our sheep are 100% grass fed -- a lot of grass fed meat is supplemented or finished on grains or cereal crops. 5) All meat comes from animals born & raised on the farm -- many places offer meat from animals that they purchased from another farm. We raise & care for their parents also! 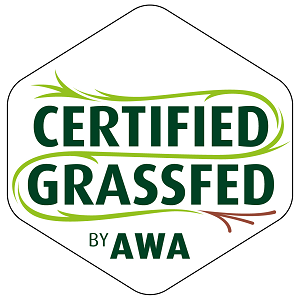 6) Our farm meets rigour qualifications for our Animal Welfare Approved certification and our AWA grass fed certification. No high production farm can meet these standards, which address space, outdoor access, breeding ages, housing, and many other important aspects that lead to the safety, comfort, health and well being of animals. Peacham Summer Farmer's Market ~ On the green in Peacham Village, every Thursday from June - September 4 p.m. - 7 p.m.